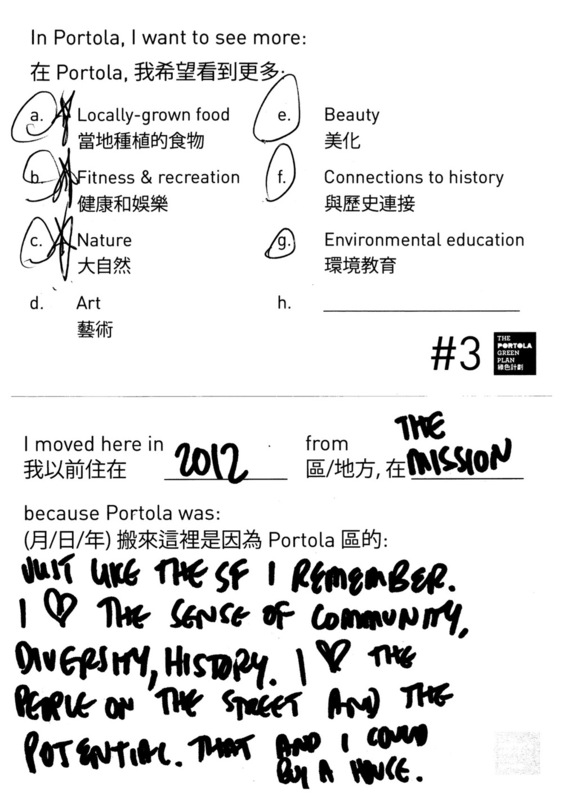 Welcome to our archive! 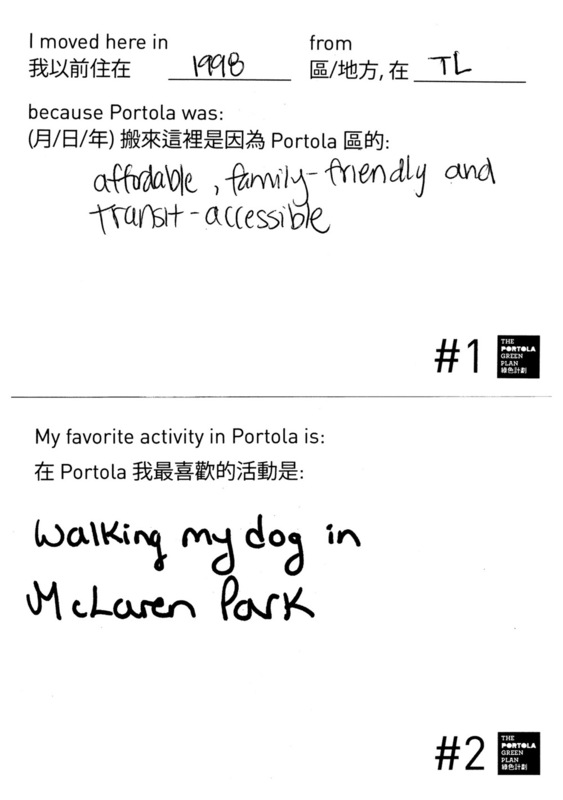 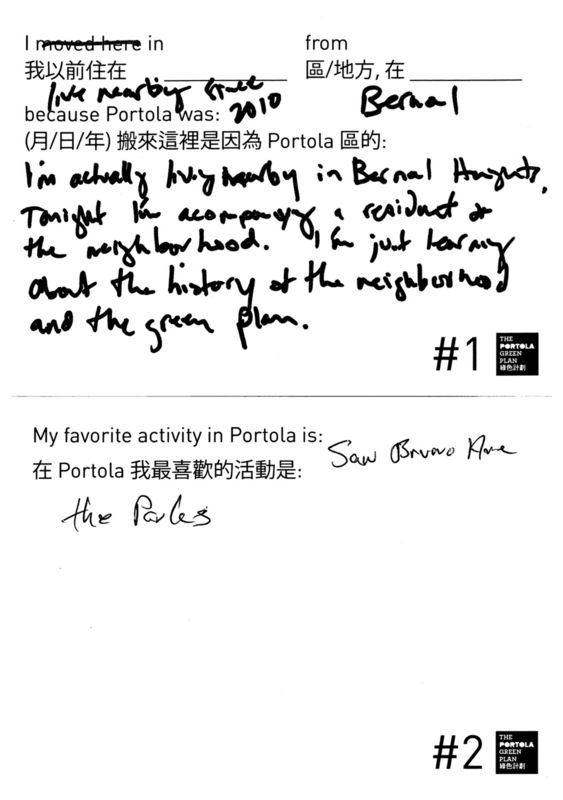 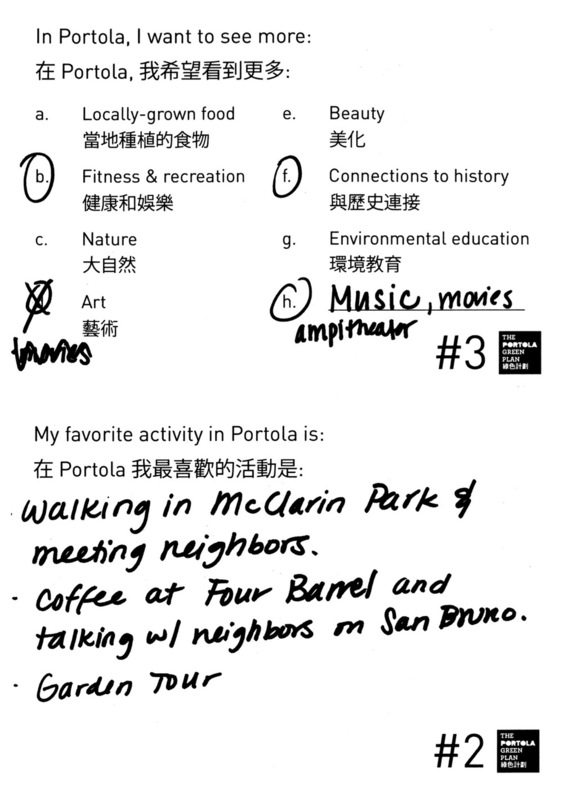 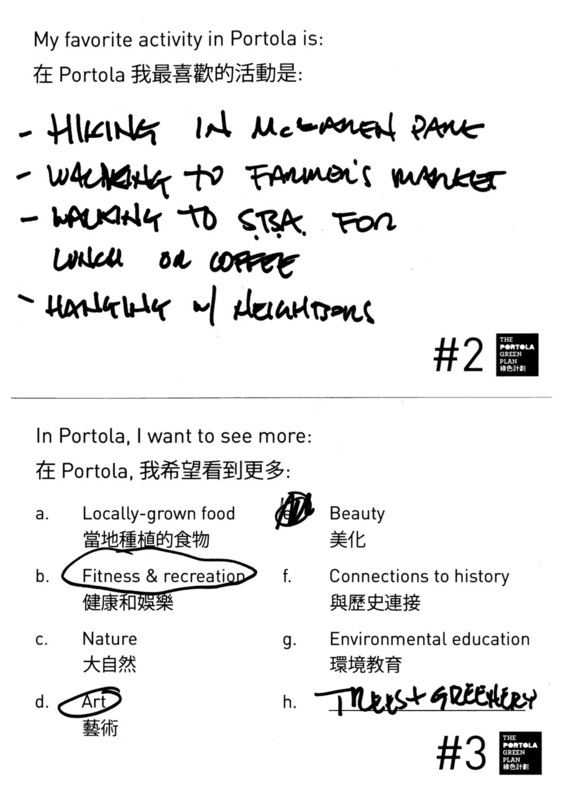 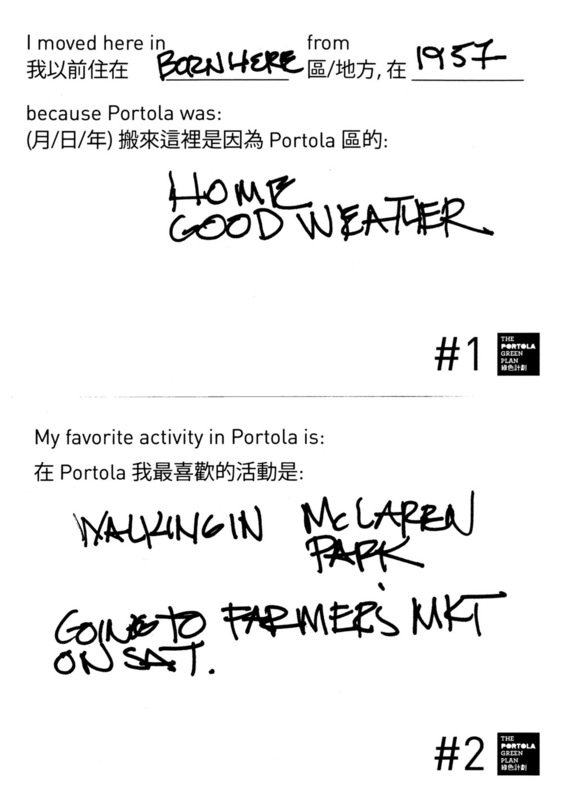 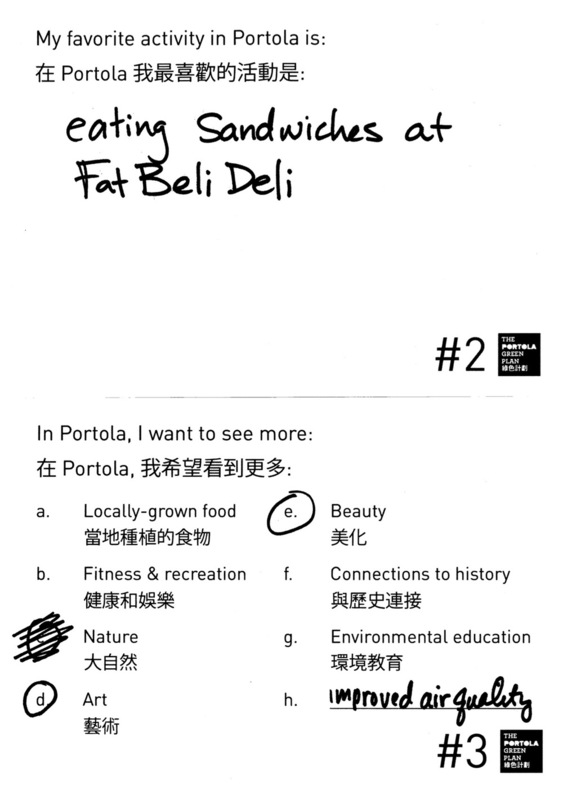 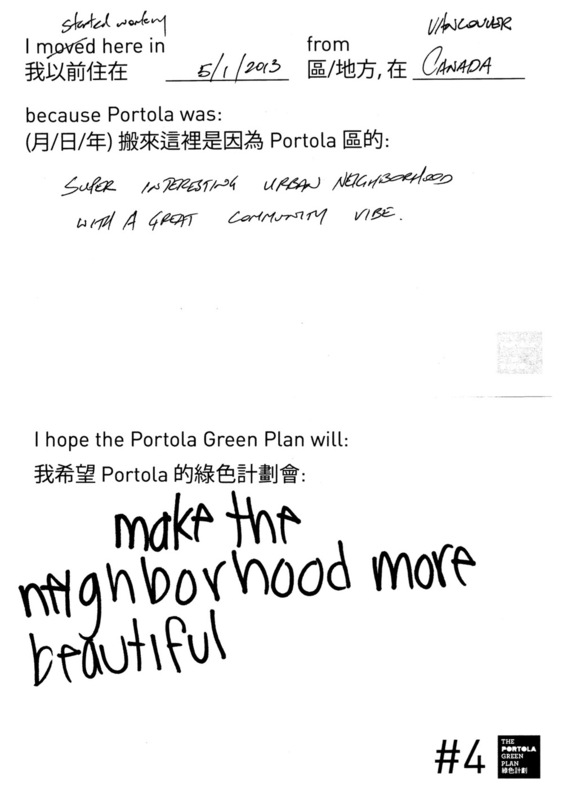 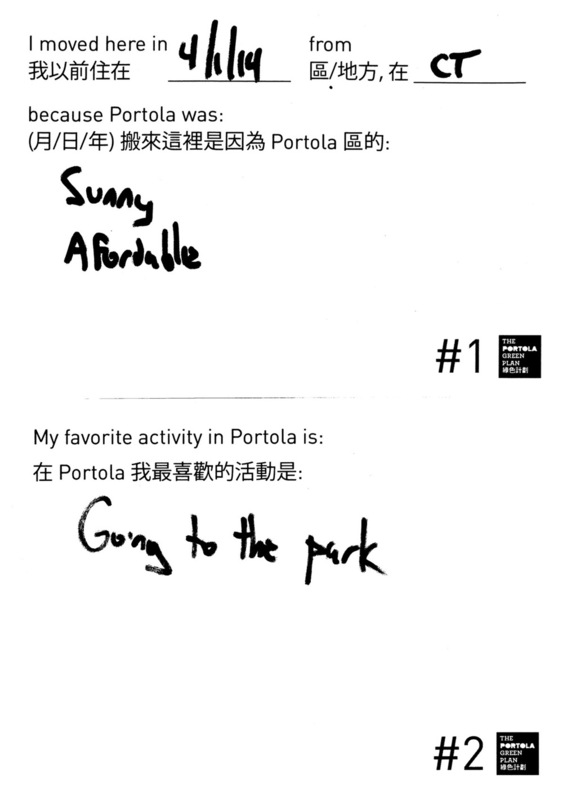 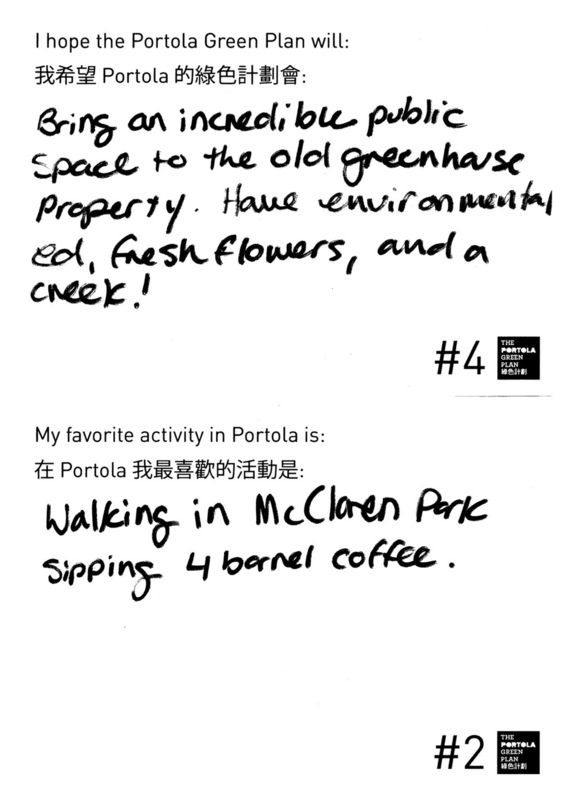 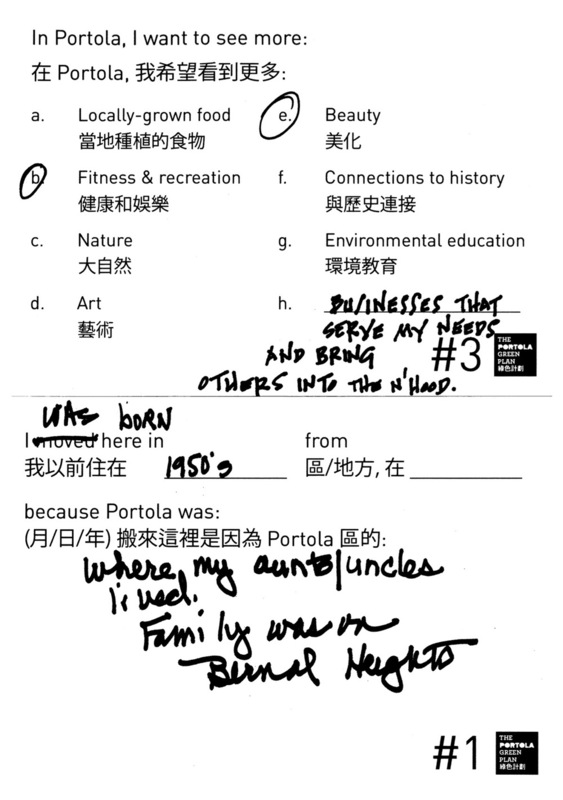 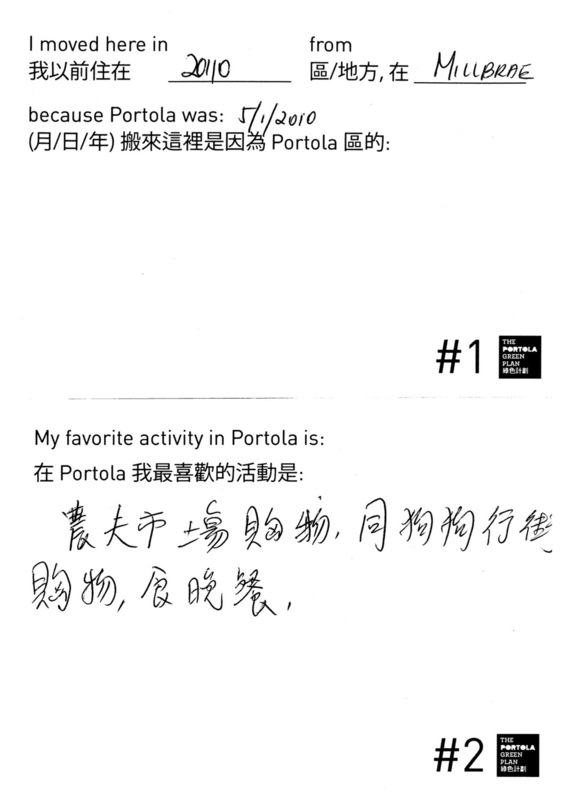 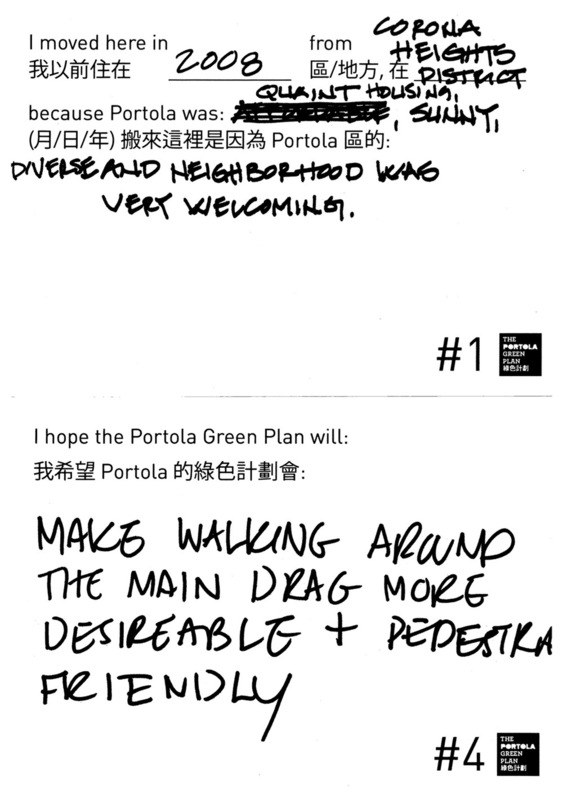 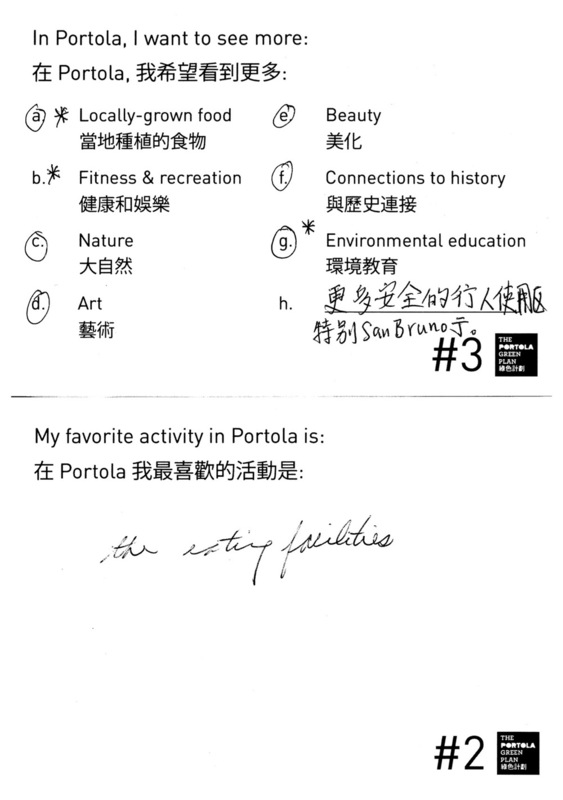 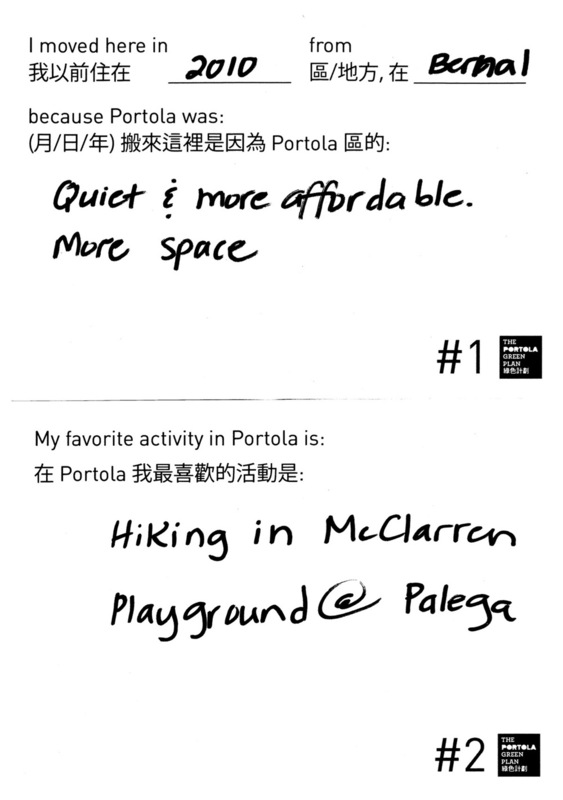 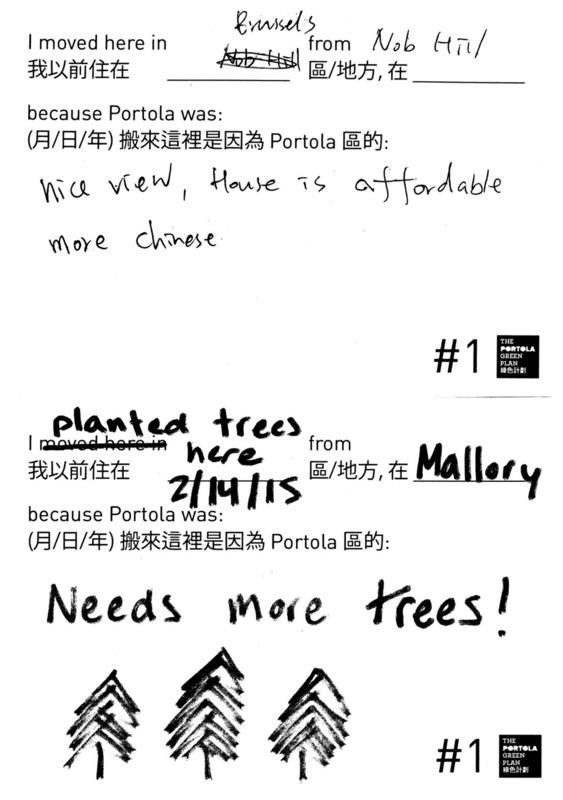 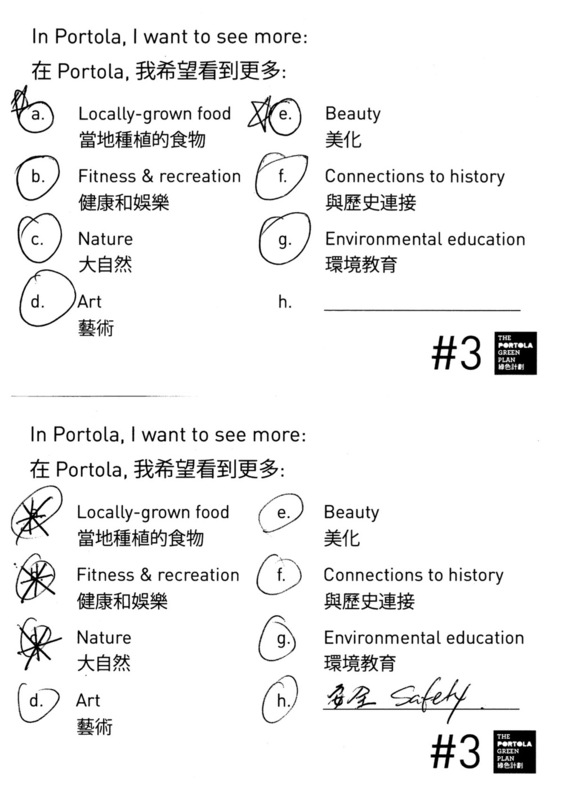 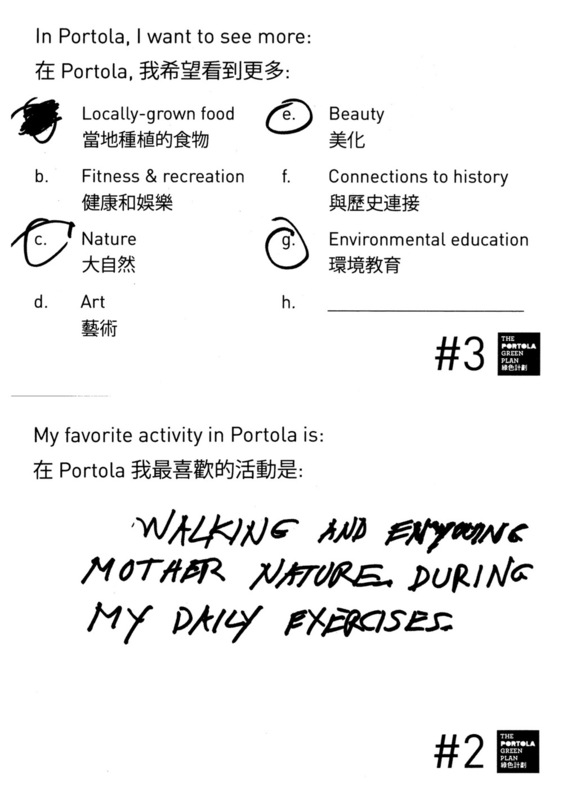 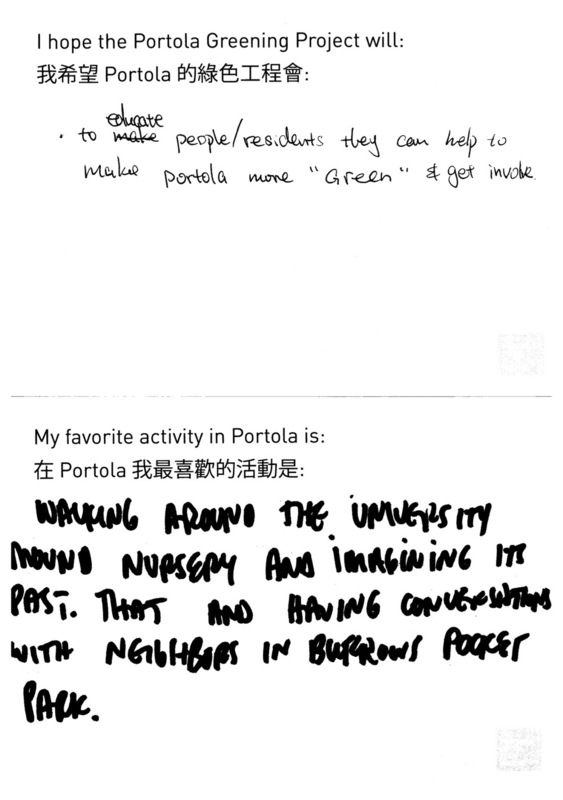 In early 2015, with the help of SITELAB Urban Studio, PUG used questionnaire postcards in order to gain a deeper understanding of our neighborhood's identity, what residents already enjoyed about the Portola, and what they'd like to see change in the future. 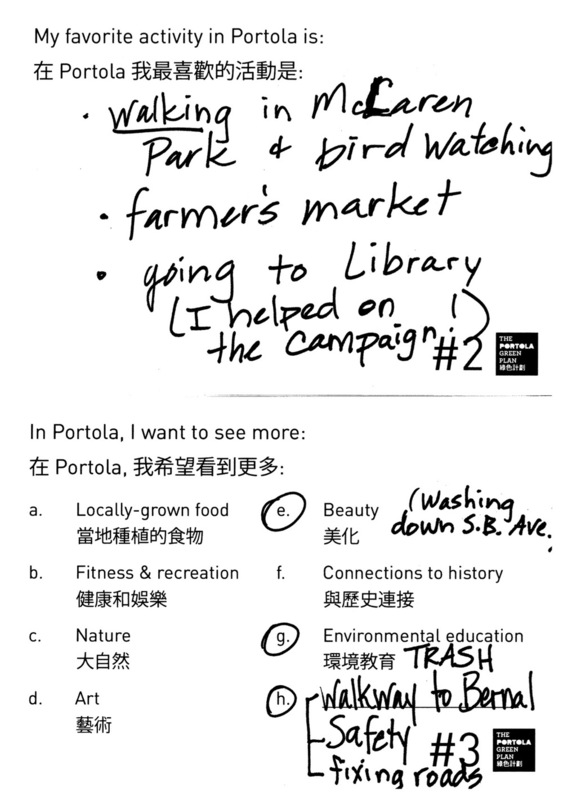 With these postcards PUG was able to gather feedback in a series of in person workshops from a diverse group of neighbors (including residents, business owners, and local organizations). 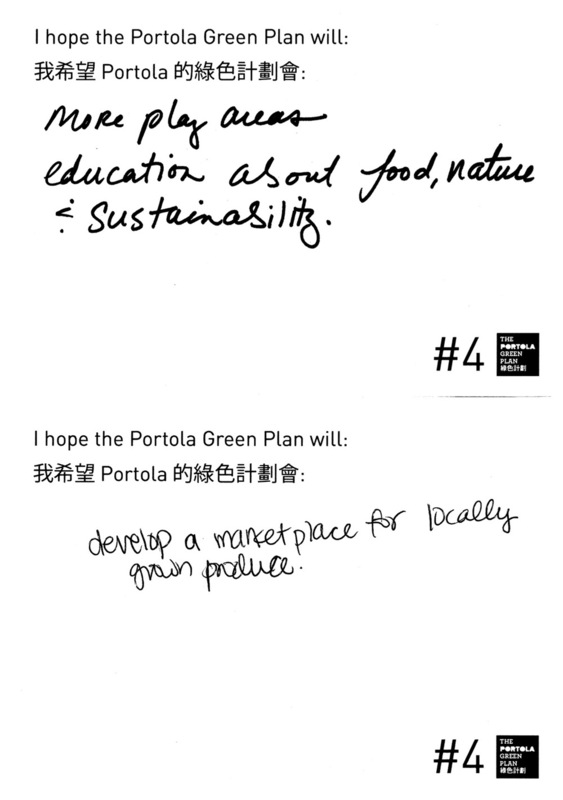 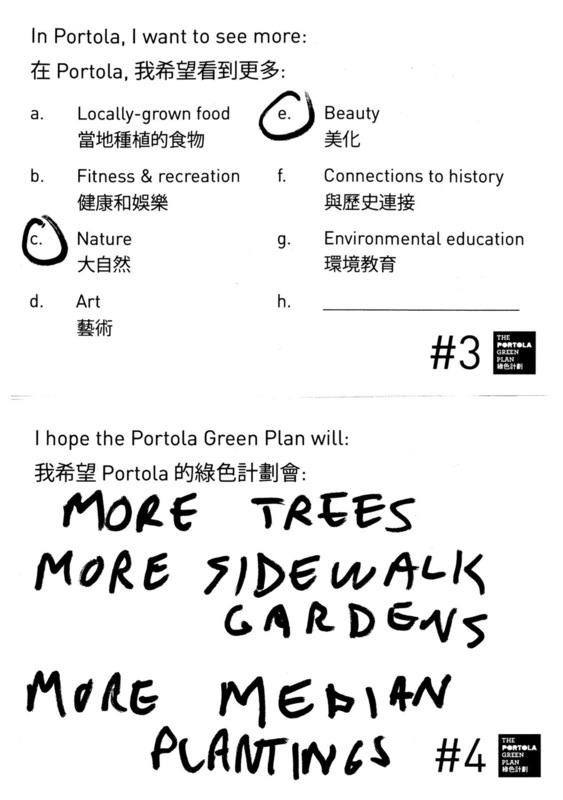 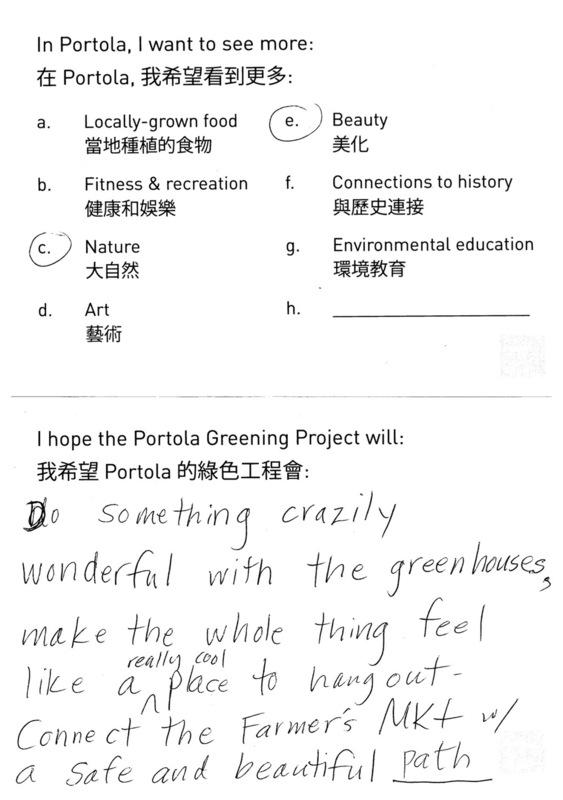 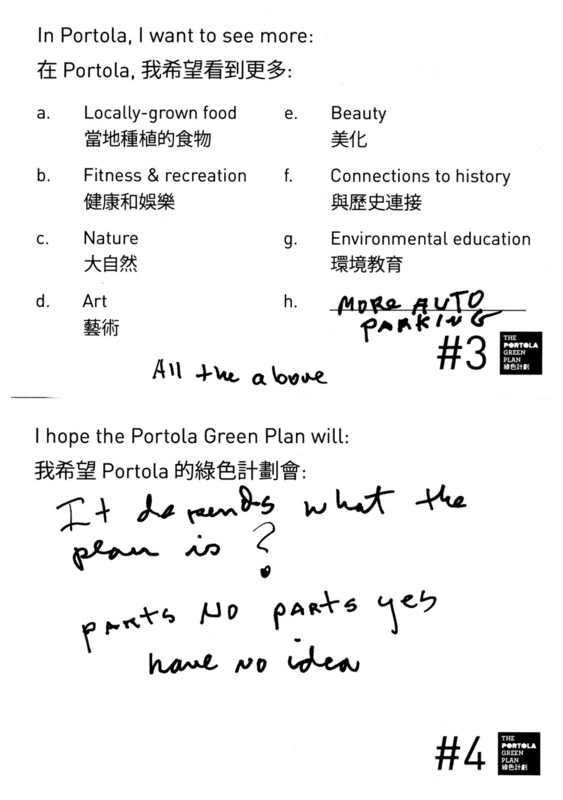 Their input resulted in a list of key themes, which formed the basis of the Portola Green Plan. 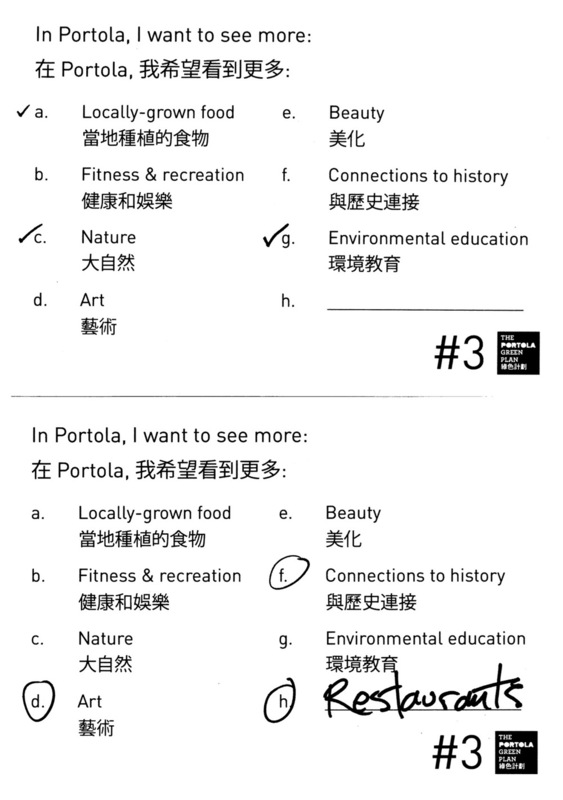 If you were unable to attend a workshop or would otherwise like to contribute your voice to our cause, please fill out an online version of the postcard by clicking on the button below. 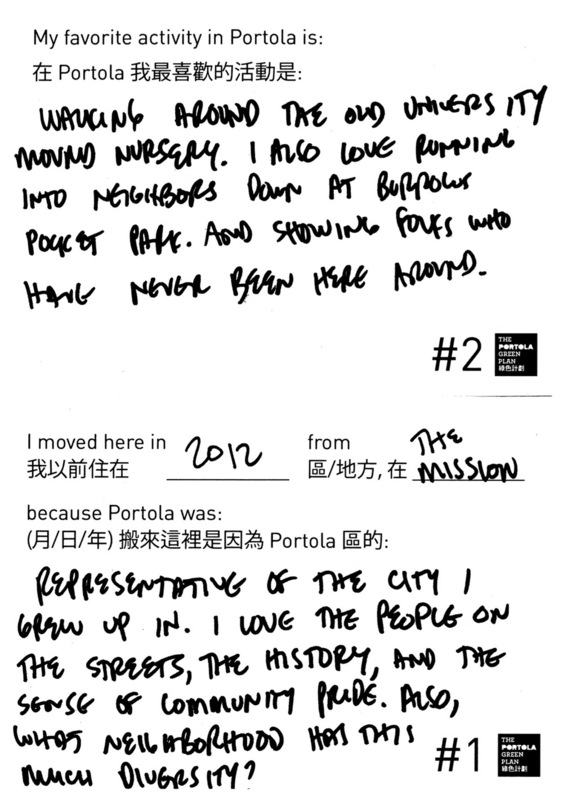 Fill out a postcard today!